Once again, summer came around and it was a no-brainer. 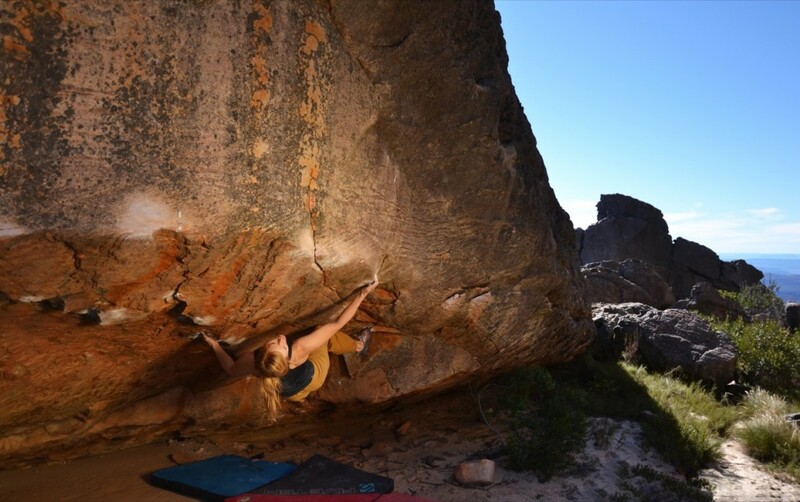 For bouldering, the summer time is somewhat more limited in venue choice; you’re looking at Australia (fire issues this year and just a flippin’ long way), Magic Wood (still pretty hot and gets all that European rain stuff), Squamish (still really a bit too hot) or Africa. 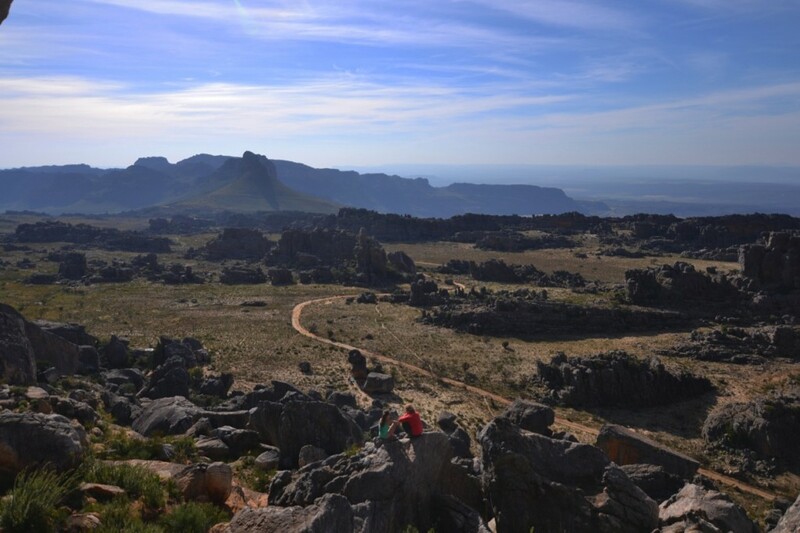 We’d been to Rocklands twice before and loved it so we decided to go back. The trip had a different tone though. We had both done a lot of classics on previous trips and we were keen to be more in ”project mode”. “Project Mode”, it turns out, translates to “falling off the same climb lots of times and finding extreme joy in minute progress”. For me, this climb was The Vice: a power-endurance compression climb that set my bar high at V13/8B. Me working the Vice, Photo David Mason. Setting the bar high isn’t always a bad thing; it means having confidence in yourself, it means dreaming of what you want not what you think might be realistic. It means opening yourself up to vulnerability and putting yourself in a position where there is a decent chance you might not succeed. It’s exciting and scary in whatever context, it could be climbing or work or a relationship. So, if like me, you get to the end of the trip and you don’t succeed, where does that leave you? Happy you got to try? Sad you didn’t succeed? I felt disappointment initially and some shame at being wrong about what I thought I could do. BUT…after some time I felt content and psyched. I felt content knowing that I had tried my hardest and psyched that I was nearly good enough. That might sound strange but in climbing there is such a fine line between success and failure, it only takes a little bit of something to turn the tables, and that is my plan. The table is going to get spun around and it’s going to land on its head not knowing whether or not it is still a table. 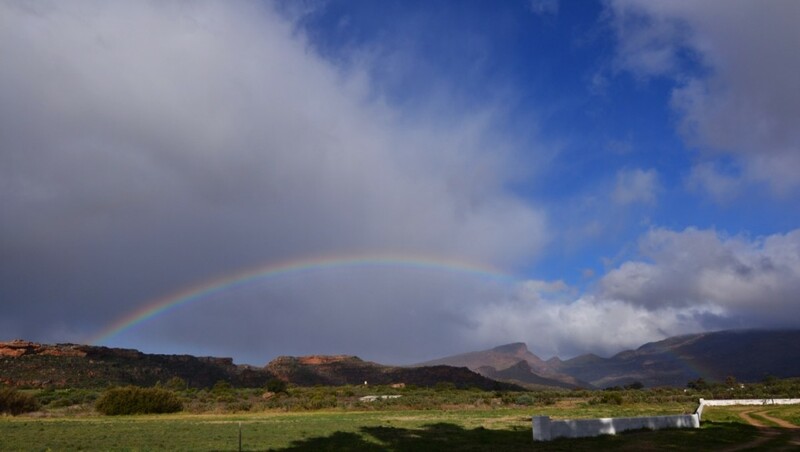 Stormy rainbow view from our caravan, Photo David Mason. I have massively digressed. After I threw in the towel on The Vice, I turned my hand to some slightly easier climbs that I hadn’t done on earlier trips and was psyched to do some new stuff like Leopard Cave (8A+), The Arc (8A), Au Bord De L’Eau (8A) and Shallow Cave (8A) and Timeout (7C). One of the real positives was that on a couple of these climbs (Au Bord De L’Eau and Timeout) I had been unable to do all the moves on the previous year! 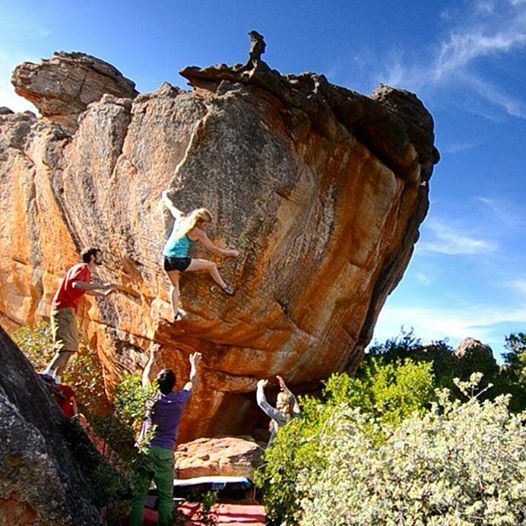 Then we decided to head to Cape Town to check out some of the climbing there. Wow. It’s incredible. We were pretty astounded and also slightly at a loss as to why we had taken so long to check it out. The rock is Fontainebleau level quality, and although in the four days we had there we didn’t even go to all the main areas, we saw some stunning lines! 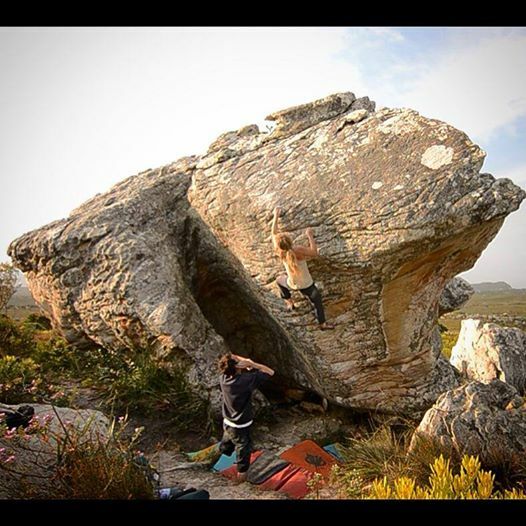 Pandemonium (8A) was a favourite, a classic put up by Marijus Smegelsis. Video still of Pandemonium (8A). 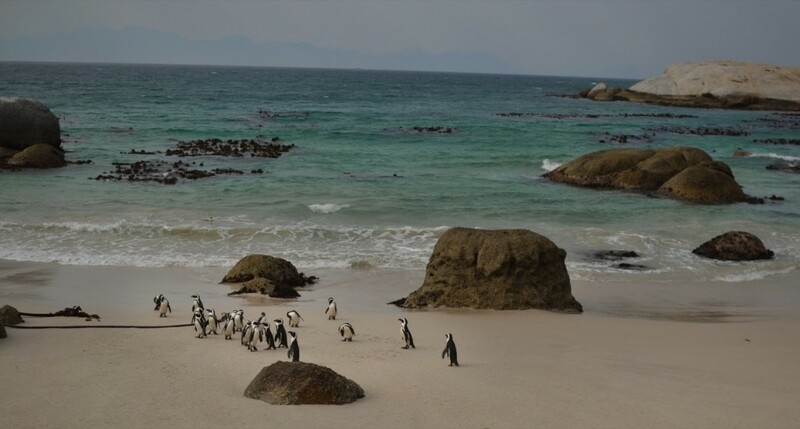 We both have some unfinished business in Cape Town now so maybe next year Africa will still be an attractive summer venue…..
Views look stunning, must have been a great place to visit, and going back knowing it a bit more is always good.